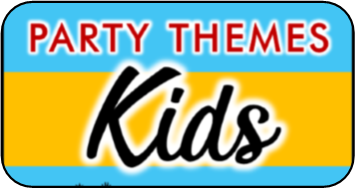 Teen Party Games for Camping! Check out these games for camping party! Ideas for teens who are planning to camp out with their friends. Some of the camping games are fun and light hearted while others are more on the scary side and not for the faint hearted. Pick the teenage camping games that best fit your idea of a good time. This is the perfect camping game to play at night, especially if you have a large area or woods to play in. Divide everyone into two teams. If you have over 20 players then you can divide players into smaller teams. Assign each team a color and give each player 5 points in their teams color. I used poker chips for “points”. I gave each member of the red team 5 red chips, and each member of the blue team 5 blue chips. To play the game, give all the teams 3-5 minutes to spread out. The object of the game is to scare as many members from the other team as you can. Every time you scare someone from the other team they have to give you one of their points (chips). At the end of the game period (I suggest 30-45 minutes) whichever team has collected the most points from the other team or teams wins. This is a fun version of the classic party game: Capture the Flag. Again you’ll need a large space to play in, wooded areas work great for this game. Divide the space into two sides. Then divide the players into two teams and give each team a glow in the dark stick (this will be the flag) and every player a flashlight. Each team must hide their glow stick somewhere on their side of the playing space. At least an inch of the stick must be visible. The object is to sneak onto the other team’s side and steal their glow stick. If someone from the other team shines their flashlight on you and calls out your name then get you must go to their prison cell. You can only get out if one of your team members “tags” you free with their flashlight, then both of you must make it back across to your side without being “tagged” by the flashlight again. The winner is the team that captures the other team’s glow stick first and makes it back to their team’s side. Have everyone where glow sticks or something similar to avoid running into each other and purchase a glow in the dark volleyball set. You never have to worry the dark ruining your game again. In In fact it’s even more fun to play! Another similar idea is glow in the dark Frisbee!! This is the best light up disk I found. How many marshmallows can you blow through the hoop in a minute? Hang a hula hoop from a nearby tree. Have tons of mini marshmallows ready to go! Provide the player with a pvc pipe cut about 10 inches long. Every player has one minute to shoot as many mini marshmallows through the hoop as they can. Another version of this game is to pair up into teams and try to shoot the marshmallows into your partner’s mouth! This is a fun party game to play around the camp fire. 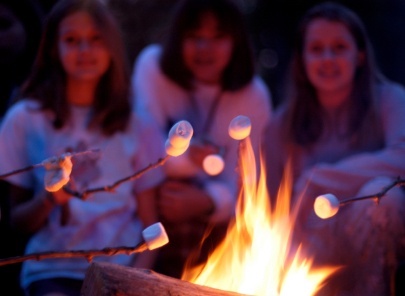 This is another fun teen party game to play around the campfire. On index cards write the word killer on one, and the word detective on the other. Fill in the rest with the word victim. You should make enough cards for everyone who’s playing to get one. Let everyone sitting around the campfire draw a card without showing anyone else what’s written on their card. To play the game: The person that draws the murder card can “kill off” other players by making eye contact with them and blinking their eyes at them twice. If a victim gets blinked at they must silently count to five and then pretend to die. If the murderer tries to blink at the detective then the killer is caught and his or her turn is over. The detective can also end the killers turn by catching them in the act and calling out his or her name. Once the killer is caught that round is over and you can start again by passing out new cards to everyone. The winner is between the killer and the detective. The killer gets a point for everyone he kills before he is caught and the detective gets a point for everyone who is left after the killer is caught. Get enough index cards for every player. Write lie on half of them and truth on the other half. Have everyone draw a card and not show anyone else. Now think of different topics, for example: embarrassing story. Go around the group and have everyone tell an embarrassing story about themselves. If your card said lie you have to make one up. After each person’s story everyone in the group must guess whether that person is lying or telling the truth. HOW TO KEEP SCORE: Everyone that guesses lie or truth correctly gets 1 point. If the story teller convinces more than half of the group that he is lying when he is telling the truth, or that he’s telling the truth when he is lying then they get a bonus of 3 points. You can play as many rounds as you want, just think of new fun topics and have everyone redraw cards after each round. Truth or dare is a teen party staple, if you would like to play truth or dare games at your camp out party then check out my list of teen truth or dare questions. 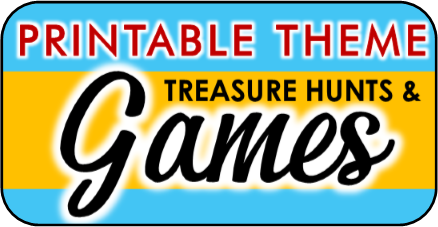 This page also offers some fun new ways to play the classic game. This is a fun game to play while collecting firewood in the woods at night or just for fun. Purchase tons of glow sticks, necklaces, and bracelets. You can find these all really cheap at the dollar store. Hide them all over the woods. Split into pairs and set a time limit for the players to find as many glow items as they can. Winner is the team that collects the most. Everyone gets to keep all the glow items they find . Do you and your friends have nerves of steel? 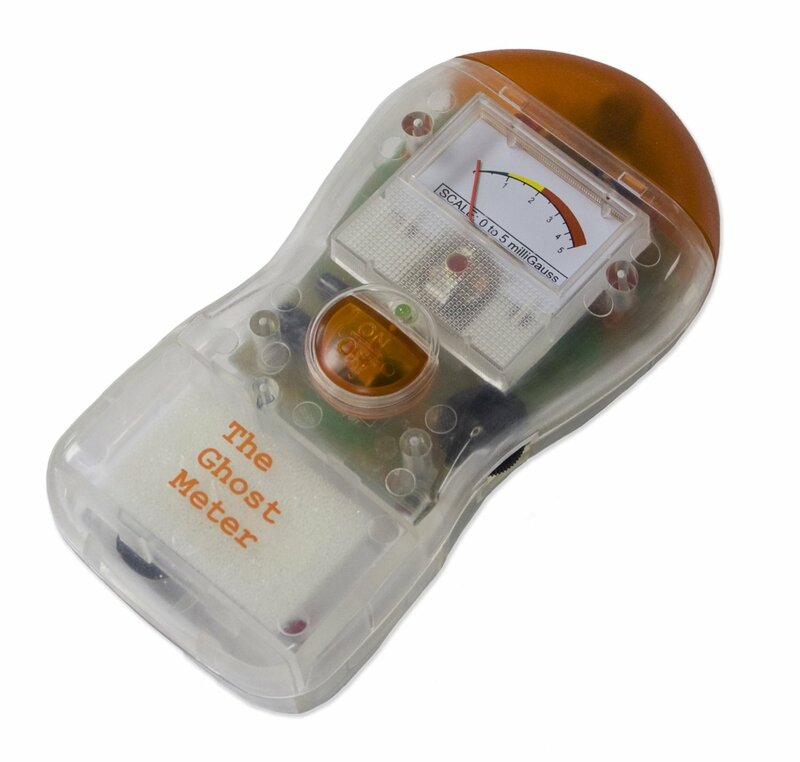 Check out this awesome "ghost" meter. It actually picks up electromagnetic fields which it is said that spirits/ghosts emit. These are actually used by professional ghost hunters. If you really want to freak your friends out wait til their all hyped up after some good ghost stories and then suggest testing the area to see if any friends from beyond are hanging around.